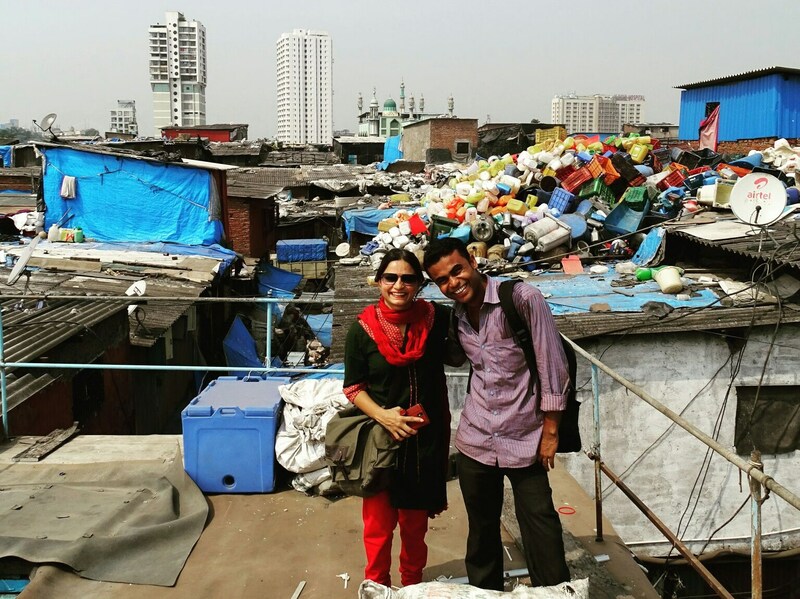 Born and brought up in Bombay, like other Mumbaikars, I took Dharavi for granted. It was a place that one just passed by, either in disdain or disgust. Stories of the Underworld and mafia dominated the narratives of Dharavi. It was the go-to place for people who came to Mumbai with dreams of a better life, but chose to stay there or the surrounding areas for the cheaper rentals. In 2007, when we launched Radio Active 90.4MHz, a community radio station in Bangalore, many communities that were invisible, based on our perceptions, came to the forefront. Though my tryst with waste started in 2009, Mumbai and Dharavi were never in the immediate picture. It was not till 2012, when one of the optional tour components of the Australia India Youth Dialogue was the Dharavi Tour that I saw Dharavi with new-found respect. 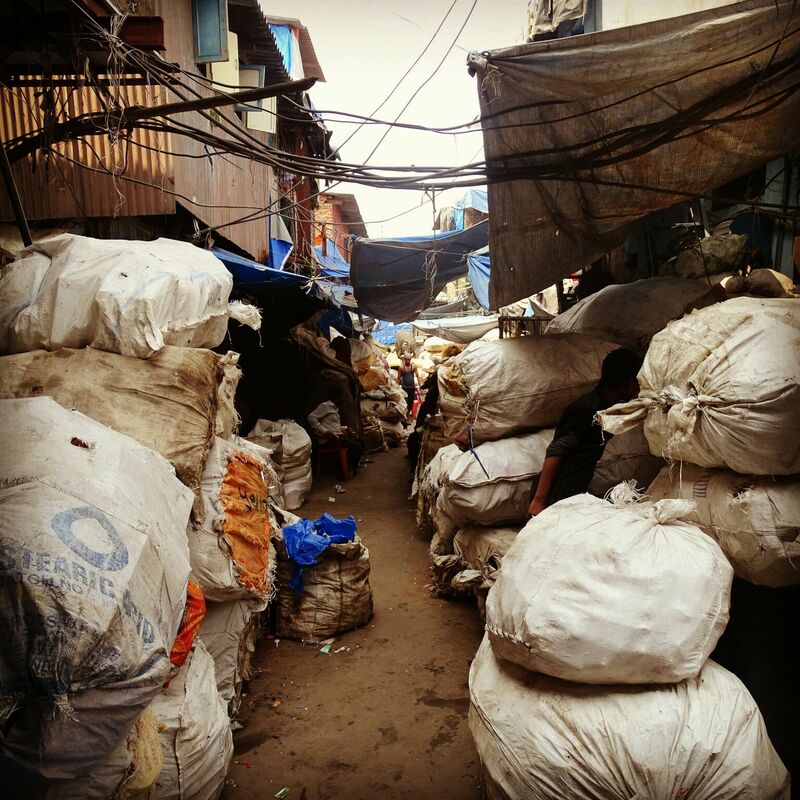 Walking through Dharavi, our minds whirled with questions… So, though the informal sector exists in all developing countries, what makes their work invisible? What problems do they face? Why is the sector so fragmented? Does social exclusion make it impossible for them to access better technology, credits or markets? What bargaining powers do these people have – when it comes to space or welfare schemes? As we made our way to the recycling area which is christened the 13th Compound Industrial Area, it is easy to see that residents have been resourceful and have created job opportunities without any help from the Government. No formal settlement would be in a position to recreate Dharavi, given the coexistence of the industries, enterprises and the residential units. Imagine what would happen if the government had to provide jobs for a million people, who move to cities when their crops fail? I think one need to look beyond the stereotype and for start areas like this, must be rechristened from slum to perhaps an informal industrial zone, rather than naming streets or roads. Grassroots recycling has helped Mumbai divert 80% of dry waste, thus saving crucial landfill space for a city that is bursting at the seams for want of land. No one follows the waste hierarchy perfectly other than the residents of Dharavi where everything is reused, or reduced and then recycled. Everything is recycled from soaps to bags and pens from car batteries, to oil drums and paint cans, from cardboard to other plastics. With each material, the policy followed is simple: sort, grade, bail, store and trade. With plastics, sorting goes on at a different level by colour and quality. Plastics are crushed, washed dried and then sold. The buzz around the industries is just inspiring… hammering, drilling, beating, smelting, folding, and flattening! “The machines being used are indigenously made by the locals of Dharavi”, says our guide Mohammed, beaming with pride. Author Pinky Chandran with guide Mohammed of Dharavi Slum Tours. As I make my way out of Dharavi, my thoughts are around two programs—Swachh Bharat Abhiyaan and Make in India. With the current government’s push on SBA and Make in India, it makes sense to learn from Dharavi—a one-of-a-kind thriving, entrepreneurial hub of self-sustaining communities characterized by decentralized economic and labour-intensive activity. 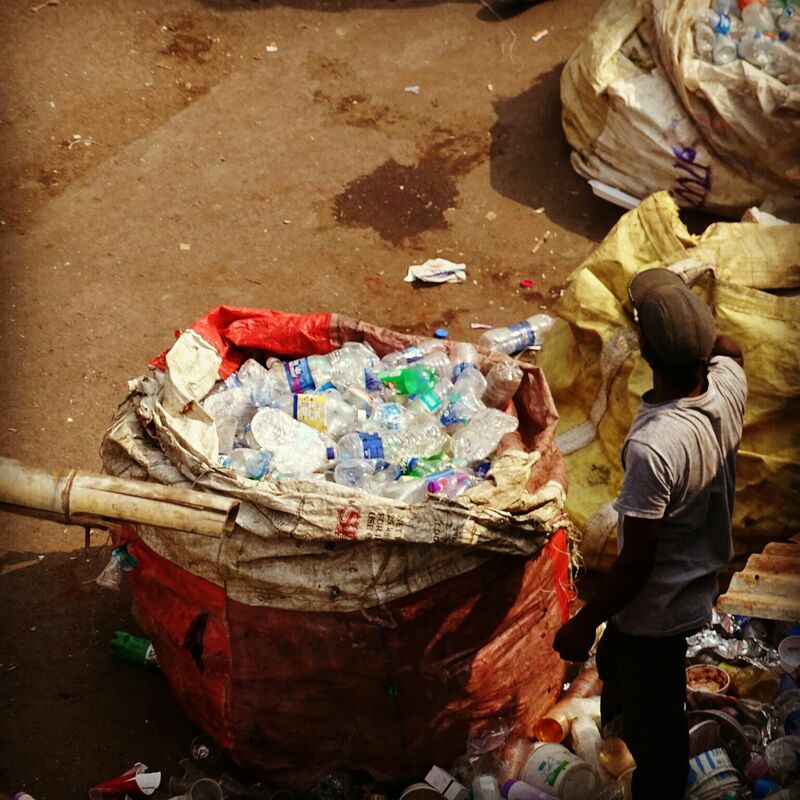 SBA needs to recognise India’s informal waste workers and informal recycling industry. Earmark informal recycling areas within the city across the country and provide access to infrastructure and finance, encourage similar informal set-ups to organise themselves on the lines of Dharavi. Setting targets for recycling across the city, enabling access to the informal sector, India will be in a position to secure a percentage of raw materials required for the manufacturing sector. (Under the annual targets for SBA, only Achievement of 100% collection & transportation and Achievement of 100% processing & disposal have been listed, with no mention of any recycling targets). Stringent measures are required for manufactures to design materials that can be recycled or reused. With special acknowledgements to Sandya Narayanan, Marwan Abubaker from SWMRT and Mohammed of Dharavi Slum Tours. I was wondering if you could share Mohammed’s contact information? I am working in waste management in Bombay and would love to meet him as well.